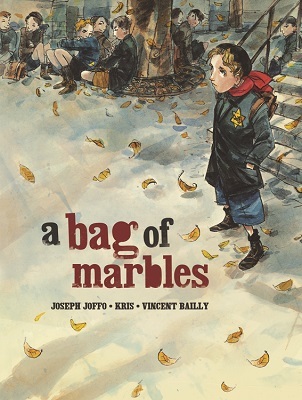 In 1941 in occupied Paris, brothers Maurice and Joseph play a last game of marbles before running home to their father s barbershop. This is the day that will change their lives forever. With the German occupation threatening their family's safety, the boys' parents decide Maurice and Joseph must disguise themselves and flee to their older brothers in the free zone. The boys travel by train, by ferry, and on foot, facing threats from strangers and receiving help from unexpected quarters. Along the way they must adapt to the unfamiliar world beyond their city and find a way to be true to themselves even as they conceal their identities. Based on an autobiographical novel by Joseph Joffo and adapted with the author s input, this true story offers a harrowing but inspiring glimpse of a childhood cut short.